In a trial carried out by the University of Maryland Medical Centre, a team of scientists explored the possibility of transporting a human kidney via a drone. The kidney was usable for research, but not a suitable match for a human body, so was instead used to determine whether drone transport was possible without damaging the organ. The drone used was a high-tech variety known as the DJI M600 Pro. Since the motors on this model are right underneath the blades, it prevents the body of the drone from overheating and does not affect the HOMAL system fitted inside the vehicle to monitor factors like temperature, altitude and GPS location. In total, the kidney was taken on 14 journeys, and endured over an hour of flight time. The longest of the journeys was roughly three miles, which is about the same distance as between the hospitals in Baltimore, Maryland. Scientists discovered that not only was the kidney not damaged during the flight, but that the HOMAL system recorded less vibration than would have been the case if it were transported by traditional turboprop plane means. Furthermore, medics were able to perform tests on the organ for more than four hours after the drone voyage. The team hopes to repeat the experiment early next year, but this time including actually transplanting the kidney into a human body. With an estimated 2,700 donated kidneys discarded in the US every year because they do not reach the patient in time, it is to be hoped that drone technology will eventually be able to reduce waste and save more lives. A video shown on the BBC News website this week shows how drones are being used to identify areas of weakness in one of the most iconic structures in the world. Built over 2,200 years ago, it’s no surprise that the years have taken their toll on the Great Wall of China, with the video highlighting how war, weather and even theft have left areas in need of repair. The challenge is that the structure is so vast and difficult to reach in parts, it can be difficult to find a way to study which areas require work. This is why drones have been used to capture footage of awkward areas of the Wall. By flying close to it with a high-tech camera, any damage or undulations in the wall can be highlighted. These areas are then visited by human construction workers and load-bearing donkeys. 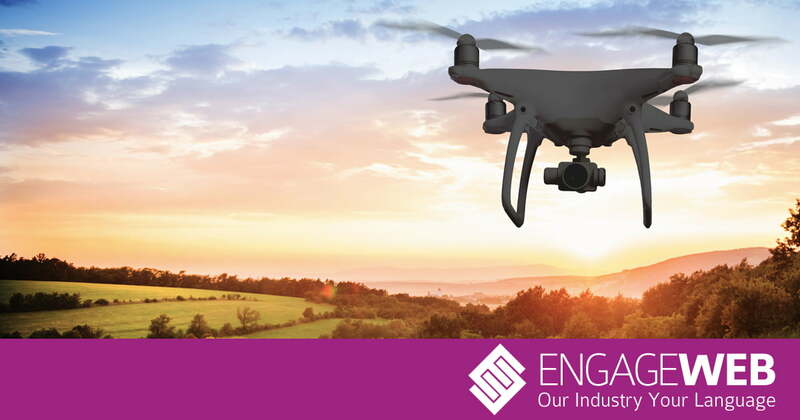 At Engage Web, we’re very excited by the potential of drones, and believe these two stories are just the tip of the iceberg in harnessing their potential. If you’d like to know more about our use of drones and how it can help your business and organisation, why not get in touch?